Yellow police tape is stretched across the intersection of Sixth and Vermont streets as law enforcement officials investigate a shooting on Tuesday, May 29, 2018. A Lawrence police officer is being charged with a felony in connection with the shooting of a driver initially pulled over for not wearing his seat belt. 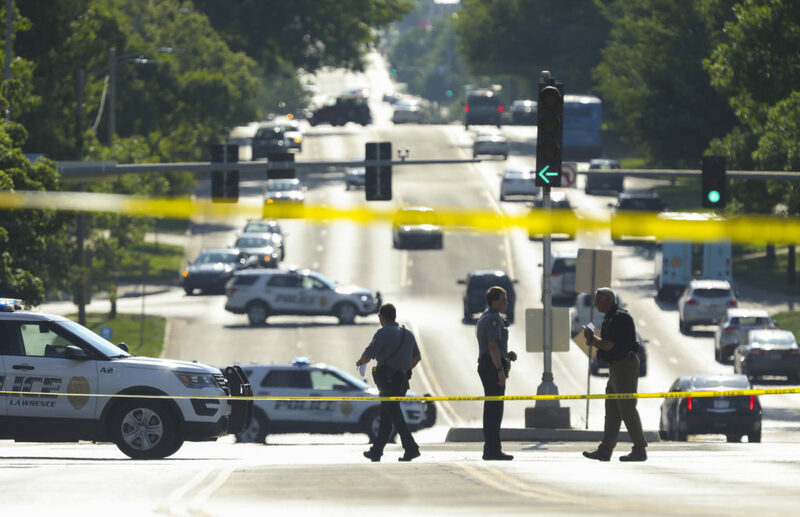 The driver is facing charges, too, for allegedly battering the first police officer who pulled him over before the backup officer shot him about 5:30 p.m. May 29 on Sixth Street near downtown Lawrence. Douglas County District Attorney Charles Branson said his office had completed its review of the case and announced the charges Thursday afternoon, in a news release. Officer Brindley D. Blood, of Lawrence, is charged with one count of aggravated battery for allegedly using a gun to “recklessly cause bodily harm” to Akira S. Lewis, according to a complaint filed Thursday in Douglas County District Court. The charge is a lower-level felony, a level 8. She’s ordered to appear in court on the charge on Sept. 27, Branson said. As for Blood’s employment status with the Lawrence Police Department, that was not immediately clear. 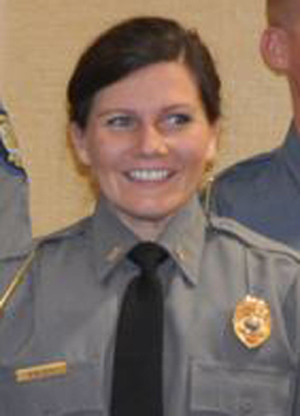 Both involved officers were placed on administrative leave immediately after the incident, per department policy, the department said at the time. The Lawrence Police Department issued a statement Thursday saying that with the DA’s review complete, the department would “immediately” begin its internal review of the incident to determine whether any department policies were violated. “At this time, there is no set timetable for when the internal review will be completed,” the statement said. Officer Ian McCann was on patrol as part of an annual Click it or Ticket seat-belt enforcement campaign when he saw an SUV driving north on New Hampshire Street. The driver’s window was open, and McCann saw he didn’t appear to be wearing a seat belt. McCann made a U-turn and pulled the SUV over in the westbound lanes of the 100 block of West Sixth Street. McCann approached the SUV and explained to the driver that he was being stopped for a seat-belt violation, but the driver — later identified as Lewis — refused to give the officer his license. After about three minutes, McCann requested backup. While waiting for another officer, he repeatedly explained to Lewis that if he didn’t cooperate he could be arrested. McCann tried to arrest Lewis by opening the driver’s side door and physically removing him. Lewis is alleged to have gotten out of the vehicle and started battering McCann. “Officer Blood tried to intervene and during that intervention she discharged her weapon striking Mr. Lewis,” Branson said. 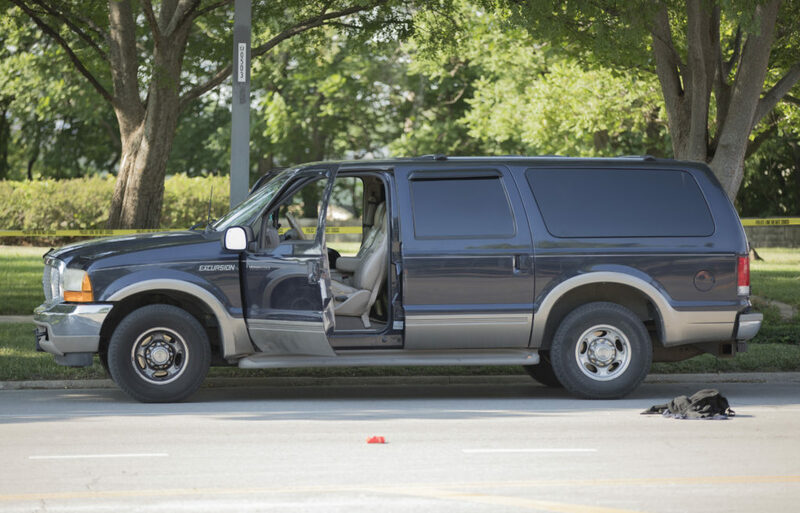 Some items lay on the ground outside a Ford Excursion that was involved in a shooting on Tuesday, May 29, 2018 near the intersection of Sixth and Vermont streets. Lewis was taken to a hospital in stable condition and was later released. Authorities have never released where on his body he was shot. Lewis, a Lawrence resident who was 34 at the time of the shooting, is black. Branson said Thursday he was unable to confirm Blood’s race beyond speculation. However, in a photo of Blood, she appears to be white. McCann is white, which is apparent to a Journal-World reporter who has seen him. Lewis believed that he was being racially discriminated against during the traffic stop, his attorney Shaye Downing said in a statement released Thursday to the Journal-World. 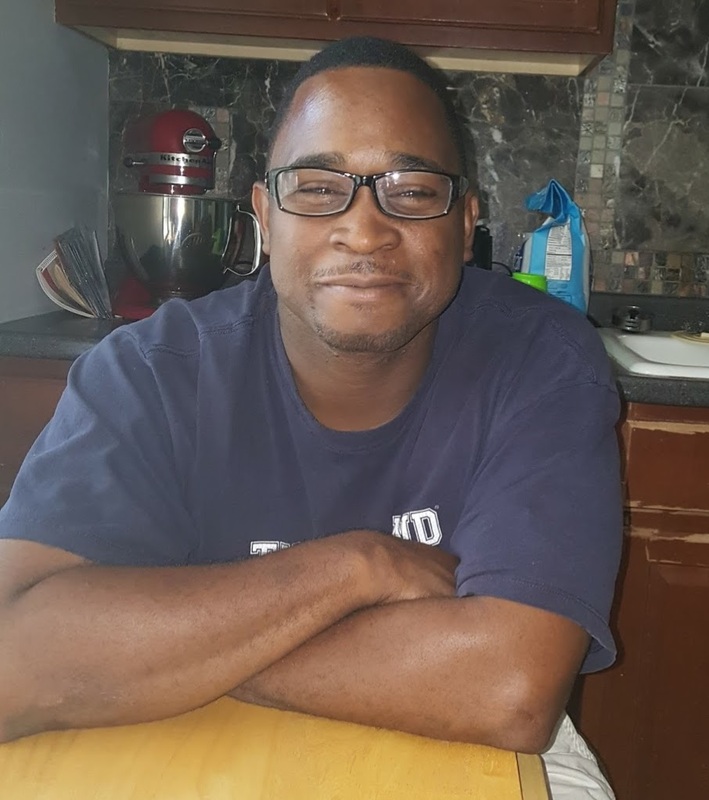 Downing said that while Lewis would not comment directly on the criminal case, because of his belief he was being discriminated against he repeatedly requested that a police supervisor be brought to the location. From the May 29 incident, Lewis is charged with three misdemeanors: battery against a law enforcement officer, interference with law enforcement and driving without proof of insurance, according to a complaint also filed Thursday. Lewis also is charged with failure to wear a seat belt, a traffic infraction. Lewis’ first appearance in court on the new charges is scheduled for Sept. 26. Branson said his office made the charging decision regarding the police officer. However, a special prosecutor from the Johnson County District Attorney’s Office is handling Lewis’ case, Branson said. Because of the potential conflict created by Lewis being both a defendant and a victim, the outside office reviewed Lewis’ case and decided the charges against him, Branson said. Lewis has been ticketed six times in the past 10 years for driving without a valid license in Douglas and Johnson counties, according to court records. He had two outstanding bench warrants at the time of the shooting — one from each county — for failing to appear in court for traffic cases in which he’d been charged with driving without a license and other violations. He has a past felony aggravated battery conviction in Douglas County for hitting a man with a baseball bat in January 2016, and he served probation for that crime. When asked by the Journal-World what the decision to charge Blood means for the police department, City Manager Tom Markus said he did not think it was appropriate for him to comment regarding the district attorney’s decision. “Those are charges issued by the district attorney, and I think that it’s inappropriate to make comments that could prejudice the procedures that are to follow,” Markus said. — Journal-World reporter Rochelle Valverde contributed to this story.